King Mohammed VI of Morocco has underlined his steadfast determination to follow in the steps of the late Sheikh Zayed Bin Sultan Al Nahyan and the late King Hassan II to foster the longstanding bonds between the UAE and Morocco. King Mohammed VI’s remarks came in a message he sent to a symposium held Tuesday in Rabat to mark the 100th birthday of the late Founding Father of the UAE. The Sovereign paid tribute to the wisdom and clear-sightedness of late Sheikh Zayed bin Sultan Al Nahyan, who “contributed to consolidating not only Moroccan-Emirati bonds, but also the unity and solidarity between Arab countries”. Relations between Morocco and the UAE are steeped in history, he said recalling that the foundations of this longstanding relationship were laid by the late King Hassan II and Sheikh Zayed. “My venerable father once said that whenever he wanted to describe relations between the Moroccan people and the people of the UAE, he could not find in the dictionary a more fitting description than that of brotherly, most cordial relations. He went on to say that the two peoples were like twins, separated only by geography,” the king said in the message that was read out by his younger brother, Prince Moulay Rachid. “Morocco, its King and people have the highest regard for this illustrious leader and his esteemed royal family, whose members have remained ever faithful to the brotherly bonds of loyalty uniting them to my family as well as to the Kingdom of Morocco,” he underlined. 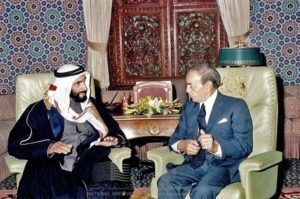 King Mohammed VI who praised Sheikh Zayed’s active role in the creation of the Gulf Cooperation Council (GCC), recalled that at the same time, King Hassan II “was seeking to build the Maghreb Union because it was a strategic choice and a popular demand. The aim was to achieve comprehensive development, integration and complementarity”. 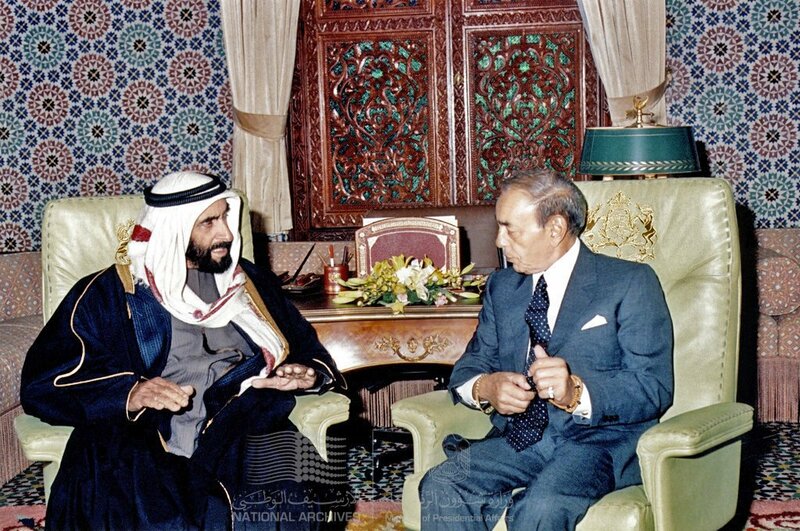 “Continuing our joint action today to promote these exemplary relations is the best way to show loyalty to the special relationship that existed between Sheikh Zayed and Hassan II – may God bless their souls,” he stated further. The symposium, held under the theme “Sheikh Zayed’s Role in Building UAE-Moroccan Relations”, was convened by the UAE Embassy and the Academy of the Kingdom of Morocco. Written by: Jaber Ali on November 28, 2018. Posted by Jaber Ali on Nov 28 2018. Filed under Headlines, World News. You can follow any responses to this entry through the RSS 2.0. Both comments and pings are currently closed.